AIFD Takes us to Africa! Of course it’s impossible to ignore a towering giraffe! 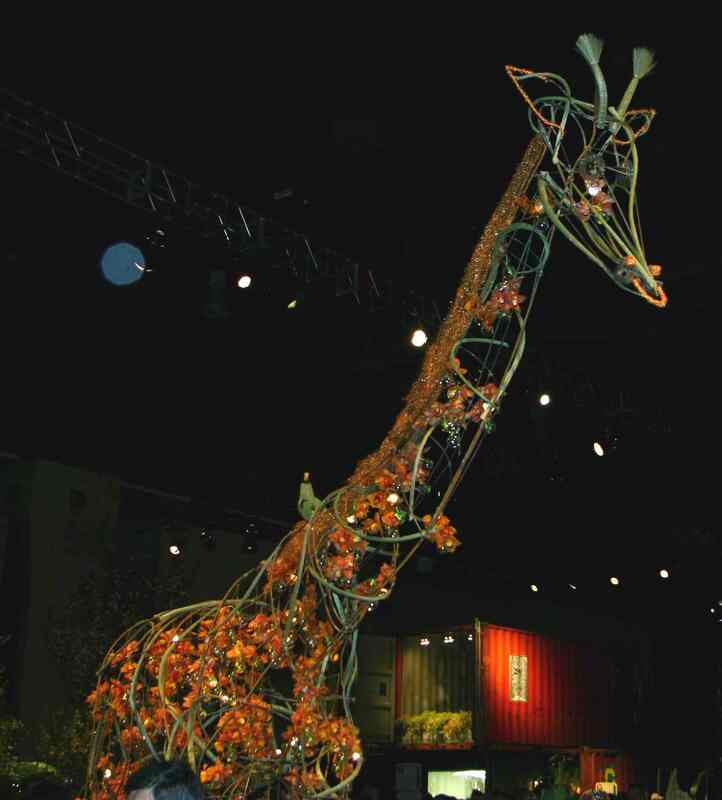 This life-size metal form is adorned with orange orchids and leaves a lasting impression. Other beasts of the wild include an African lion (with an unruly mane of grasses) and colorful birds high above on a branch. Ron says, “Some people from South Africa have been through the exhibit and told us we got it right. That’s extremely gratifying.” The general public seems to agree, AIFD won the PNC People’s Choice Award three different days! This entry was posted on March 6, 2010 at 7:51 pm and is filed under 2010 Flower Show - Passport to the World, Attractions, Floral Arrangements, Garden Displays, Uncategorized. You can follow any responses to this entry through the RSS 2.0 feed. You can leave a response, or trackback from your own site.